Davos Klosters is one of the world’s best-known holiday destinations and offers the most comprehensive range of holiday, sport and meeting opportunities in the mountains. It is an Eldorado of holiday dreams. The contrast between urban Davos and idyllic Klosters couldn’t be greater: first we have Davos, the highest town in Europe, famed for its diverse sport, leisure and cultural opportunities, its restorative climate, HC Davos, the Spengler Cup, the Kirchner Museum, the World Economic Forum and the freestyle party scene at Jakobshorn. Davos has made it into the history books on several occasions: the traditional “Davos sledge” is the most commonly used in the world, the world’s first t-bar lift was installed at Bolgen and the town was a leading international health spa in the times of Alexander Spengler. Nobel prize winner Thomas Mann was also drawn to Davos and chose it as the backdrop for his novel The Magic Mountain. As the headquarters of several renowned research institutes, Davos has also earnt the claim of knowledge centre. Then we have Klosters with its chic charm, where understated luxury attracts even the royals. The two locations have two things in common: the mountain environment is entrancing, and you can make your holiday as adventurous or relaxing as you wish. For this area is full of life, yet you can also find peace and quiet here. 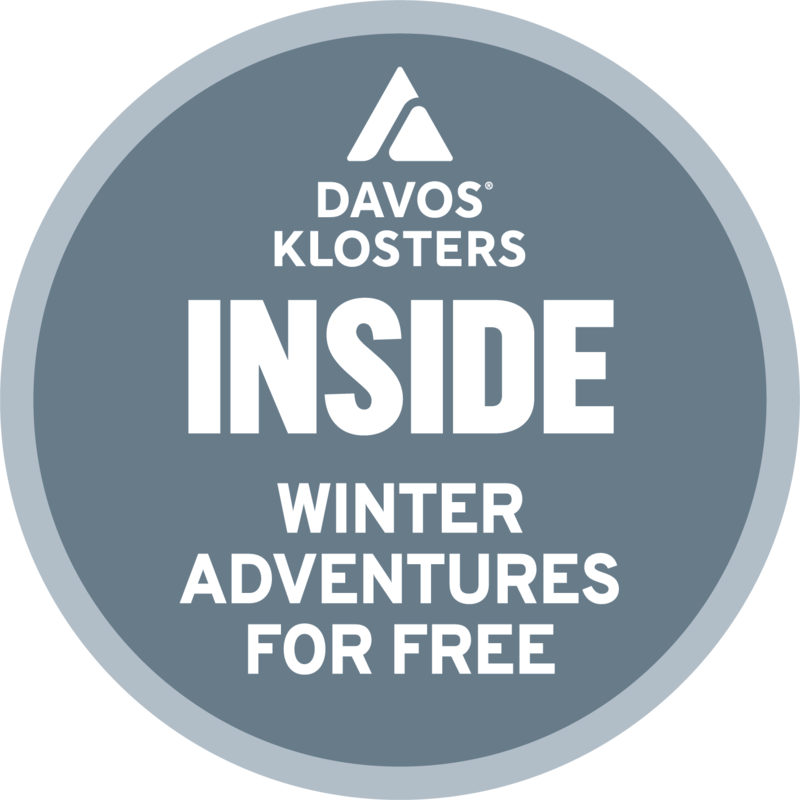 “Davos Klosters Inside”, the free guest programme, offers daily winter experiences accompanied by local insiders. Experience sunrise on the mountain, take a glimpse behind the scenes at the Piste and Rescue Service or take part in a torchlight hike. With its “World’s best guest programme” featuring 700 free summer activities, Davos Klosters is setting new limits. The free programme for summer guests offers adventure, cultural and sports activities for young and old. It provides ideas and tips for experiencing and discovering new things. In the summer, guests staying at least one night in Davos receive a Davos Klosters Card. With this guest card you have free daytime travel on all public mountain lifts at the holiday destination and free travel on the public transport network (train from Davos to Filisur). You also benefit from many other free or reduced services and leisure opportunities. Further brochures for families, bike … here.